The fight goes on to get kids eating more healthily, which is good for them, their future health and welfare and is ultimately a money saver on health costs. This piece by Mark Bittman from The New York Times addresses the fight over ensuring school children get healthy school lunches and speaks to the heart of the problem of child and adult obesity that besets populations worldwide. British cooking guru and author Jamie Oliver comes up against the same difficulties–and fights on. 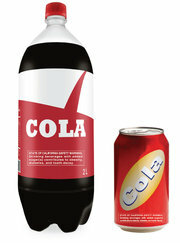 …We are in a public health crisis largely brought about by the consumption of sugar and hyperprocessed carbs. It’s fine to scream “don’t eat as many of them,” but that message can’t possibly match the power of the billions of dollars spent annually by an industry ($400 million a year on marketing soda to teens alone) encouraging us to consume more. Government’s proper role is to protect us, and this would be a fine way to start. …Healthy food initiatives threaten profits and are therefore fought or deflected or co-opted at all costs by the producers of hyperprocessed food. This is true even when those costs include producing an increasingly sick population — and a disproportionate number of defenseless children — and an ever-growing portion of our budget spent on paying for diet-related illness. Big Food will continue to pursue profit at the expense of health as long as we let them. 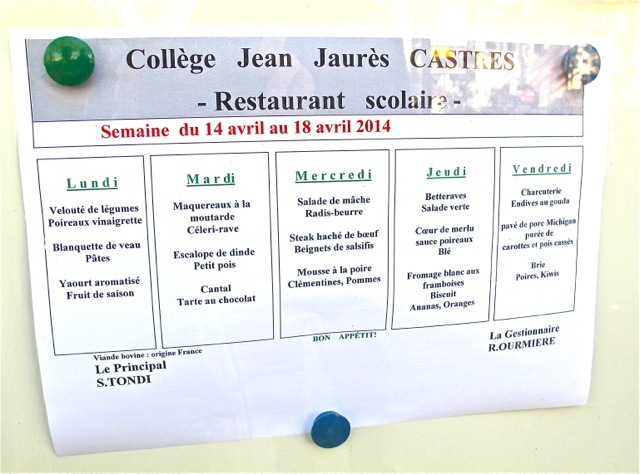 At Jean Jaures College in our local town, a glance at the lunch menu seems to confirm that an effort is being made–though the day we visited we were not invited to sample for ourselves!